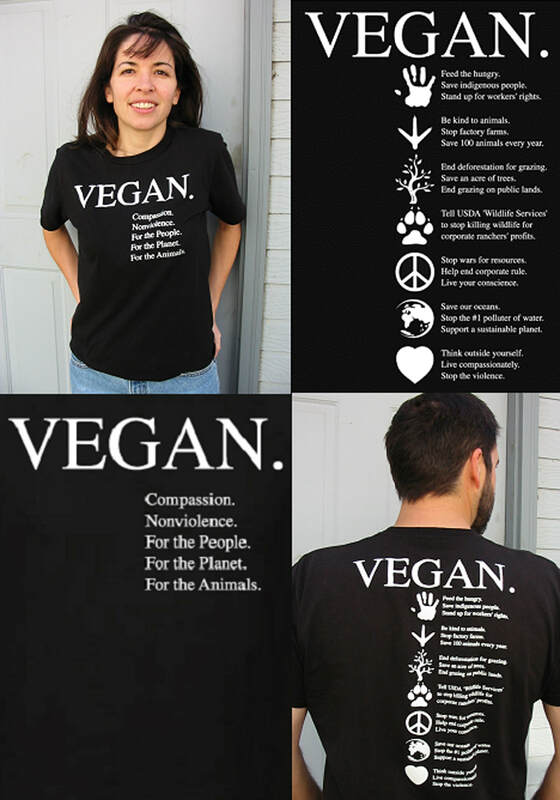 VeganShirt.com! 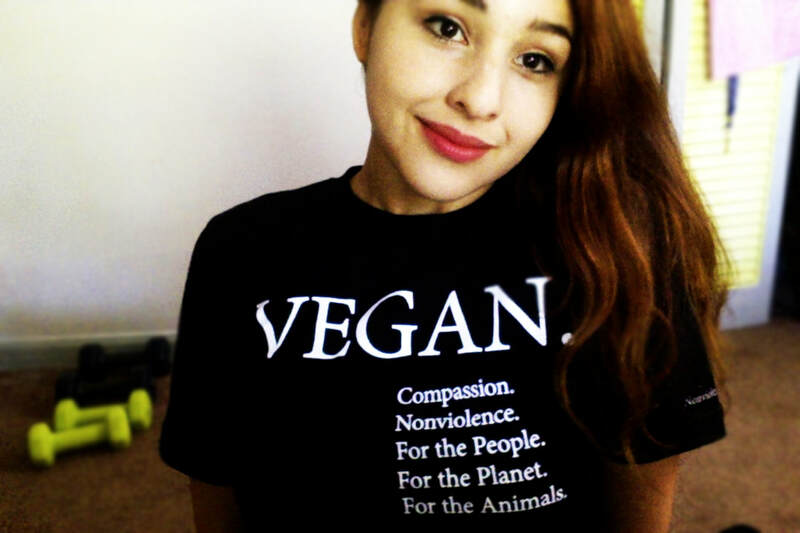 One shirt says it all! 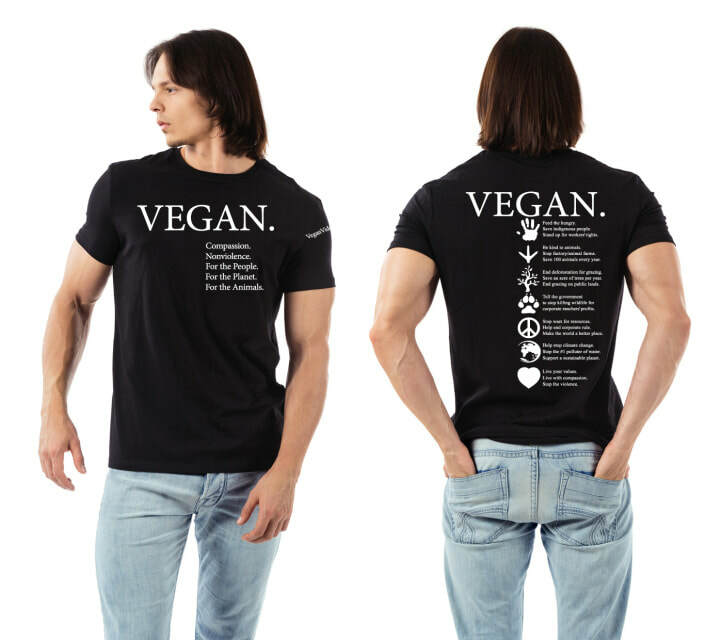 The original VEGAN shirt. Various COLOR shirts through Amazon (links below). 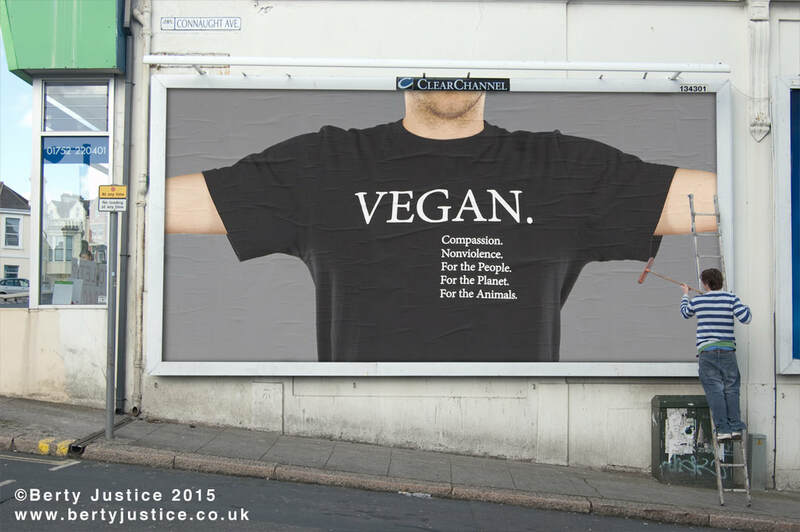 In the UK and Europe, consider Vegan Street Wear in the UK. And contact us for BIG discounts on bulk orders (48+ shirts)! 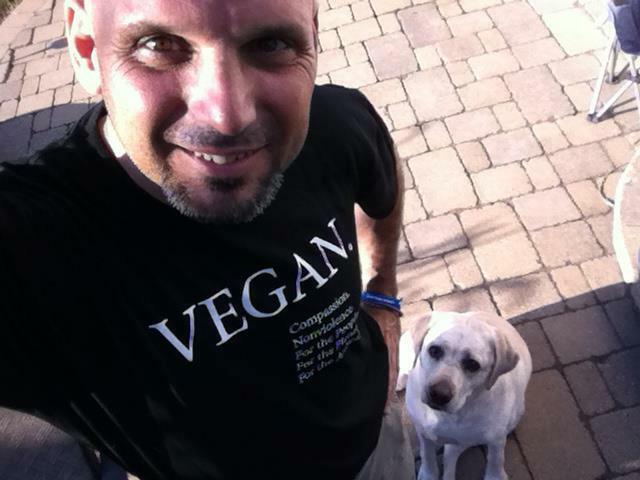 Watch and share the positive, uplifting video based on the original VEGAN shirt! 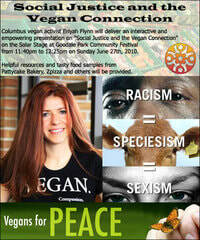 More info and languages available at VeganVideo.org. 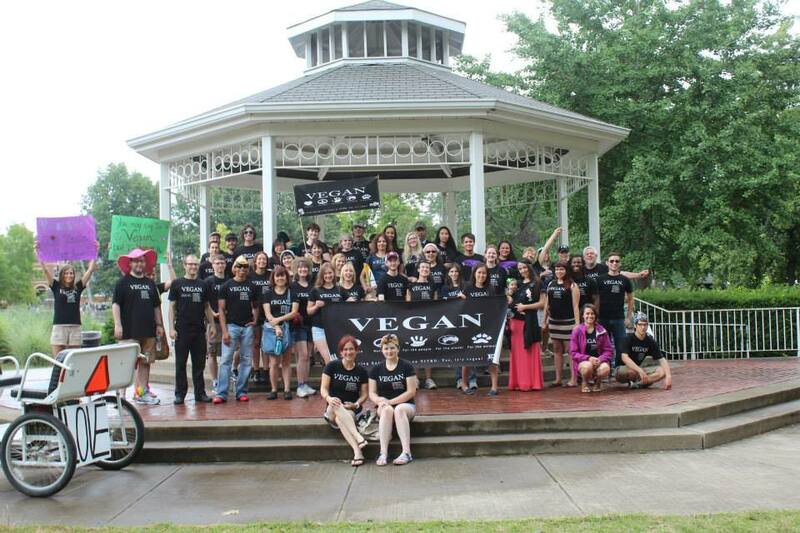 Vegan Shirt in the park. 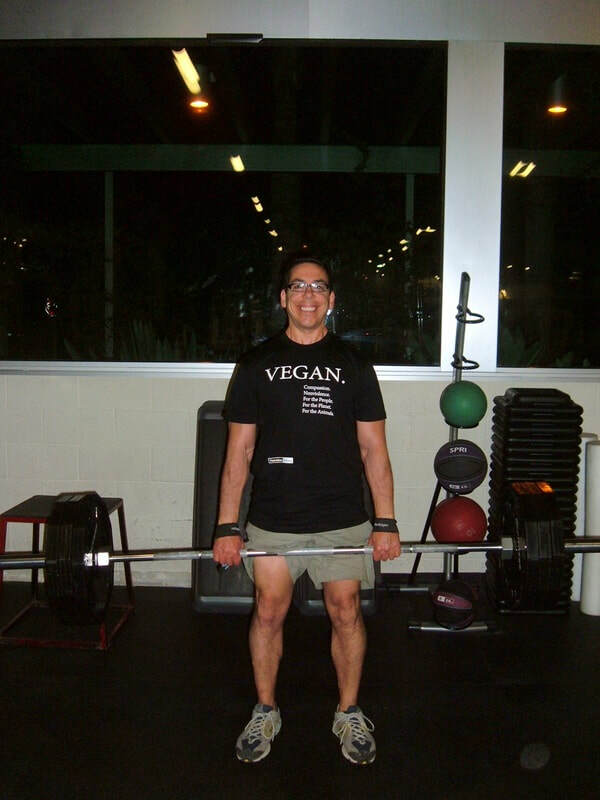 Vegan Shirt at the gym. 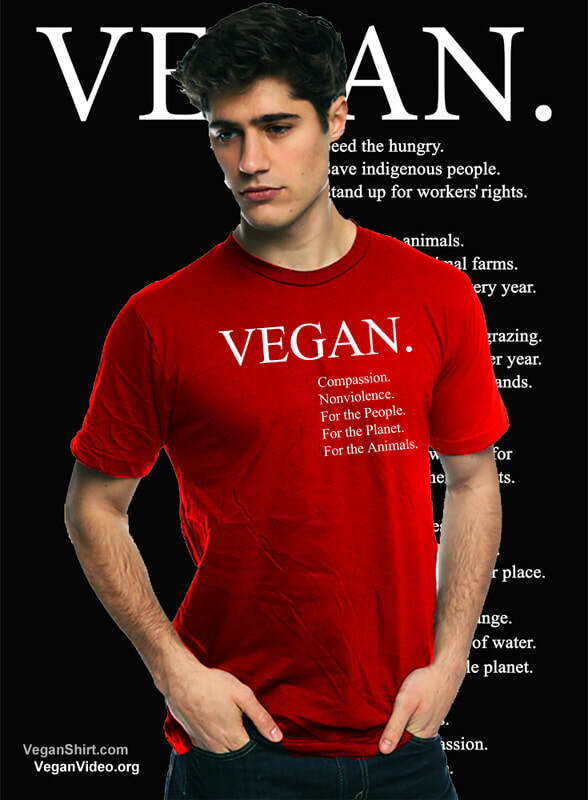 Josh, thoughtful in his VEGAN shirt. 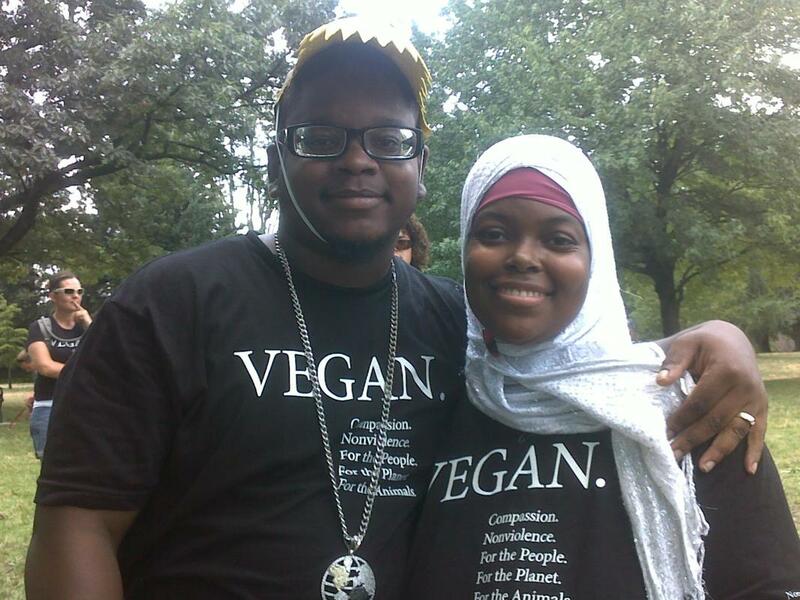 Vegan Shirt brother & sister. 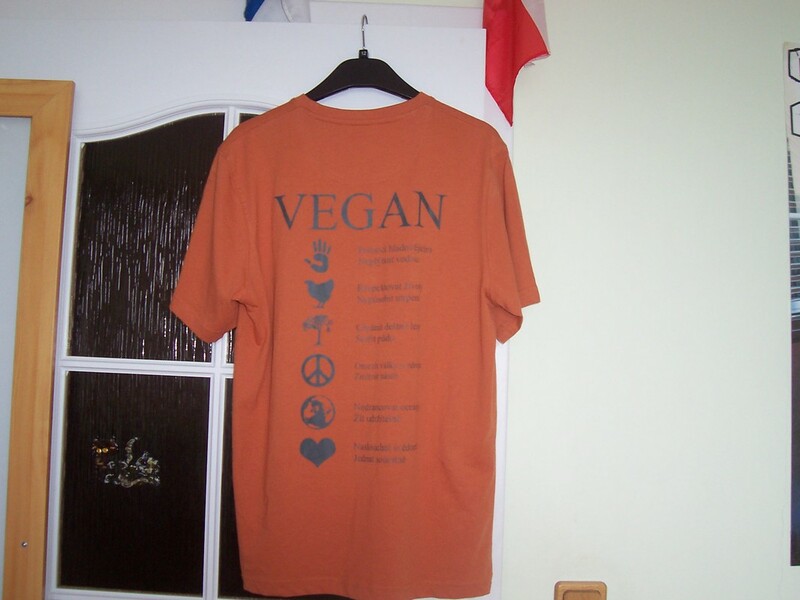 Why I Wear That VEGAN Shirt Everywhere. 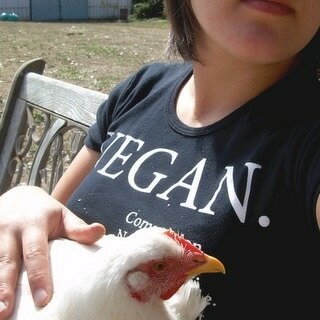 When I made the first VEGAN shirt back in 2003 or 4, I wore it everywhere. A few friends thought it was cool – so, I made a few more and shared them. Then a few more. Then a few more. 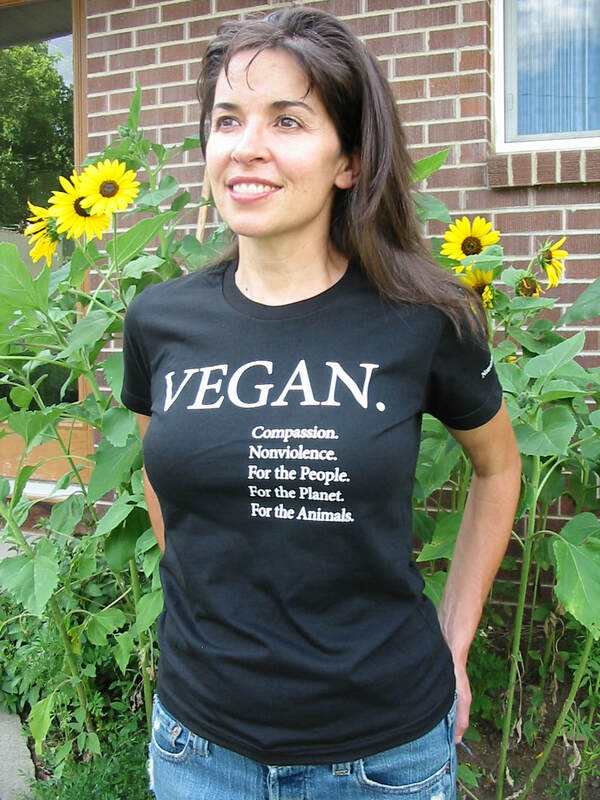 And so the VEGAN shirt was born (now www.VeganShirt.com). I *still* wear that thing everywhere. Actually “that thing” is 12 or so VEGAN shirts in various colors in my closet and drawers. 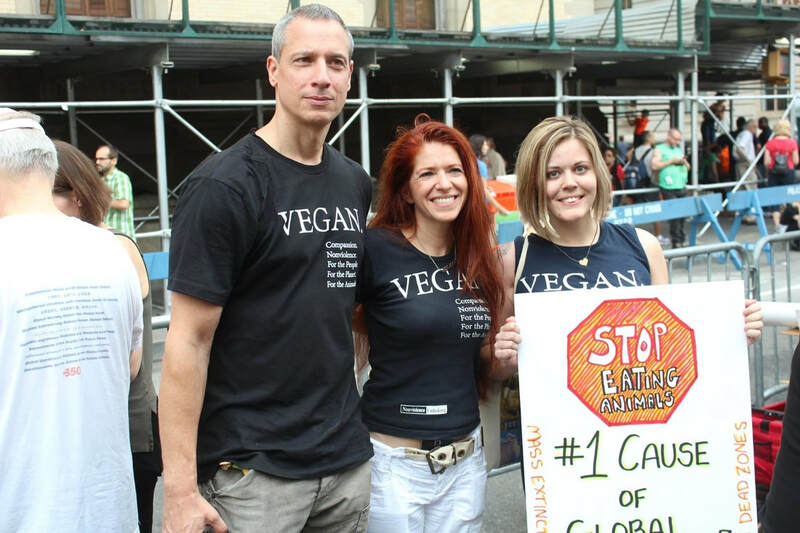 You can see me coming – a big 6’2” 220-pound walking VEGAN billboard. 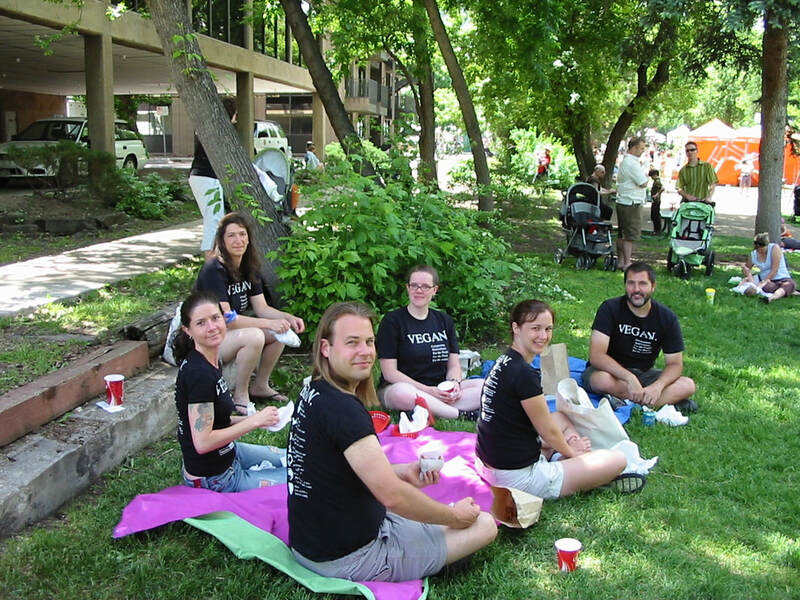 And the stark white print on the deep black shirt makes me readable from a block away. 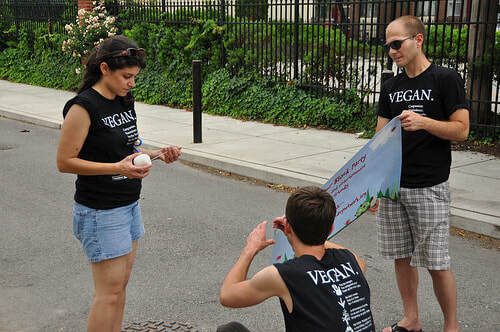 The reactions from fellow vegans have been as interesting as those from passers-by. Most love it (hooray!). 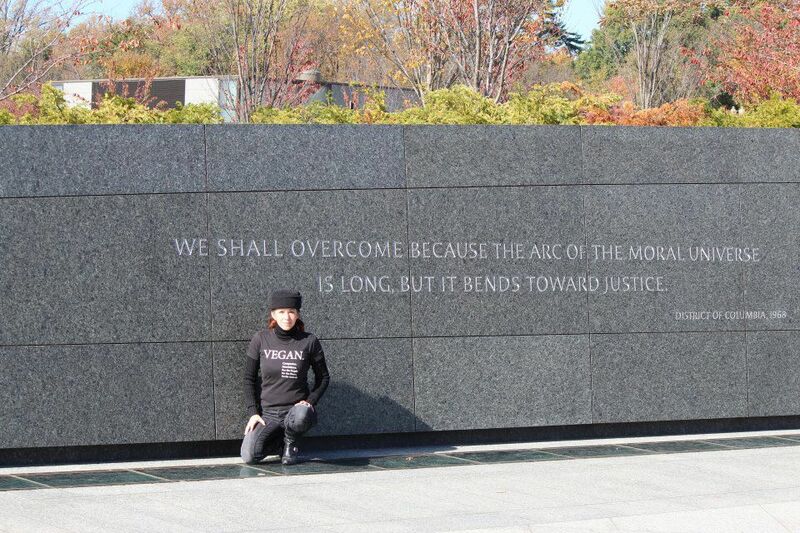 Some hate that I advocate Nonviolence (what?). Some want a different color or style (I hear you and we’ve done some of that). 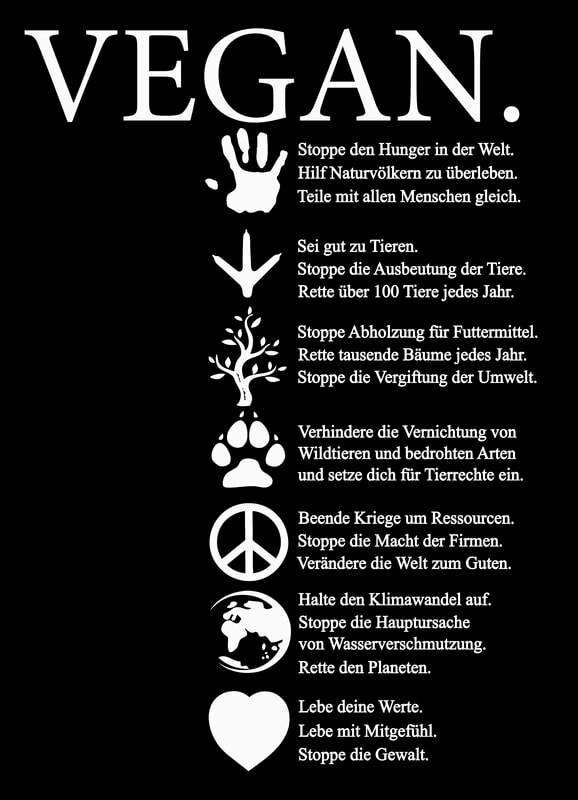 And some wish I’d put “For the Animals” first in the list of reasons (Long story short -- I put “For the Animals” last because, to me, the animals are the most important reason – “For the Animals” comes last because it allows for people to open their hearts first to “For the People” then “For the Planet” and then be left with “For the Animals” ringing strong in their minds and hearts. At least that was and is my intention... and it still feels right to me). And then there are the looks from passers-by. I get a lot of sideways glances – not evil-eye glances, I mean people look out of the sides of their eyes like that lead singer from the Bangles (“Walk Like an Egyptian”… yes, I’m that old). They don’t want to stare – that wouldn’t be polite, right? But they wanna -- they just gotta -- read it! And they do. 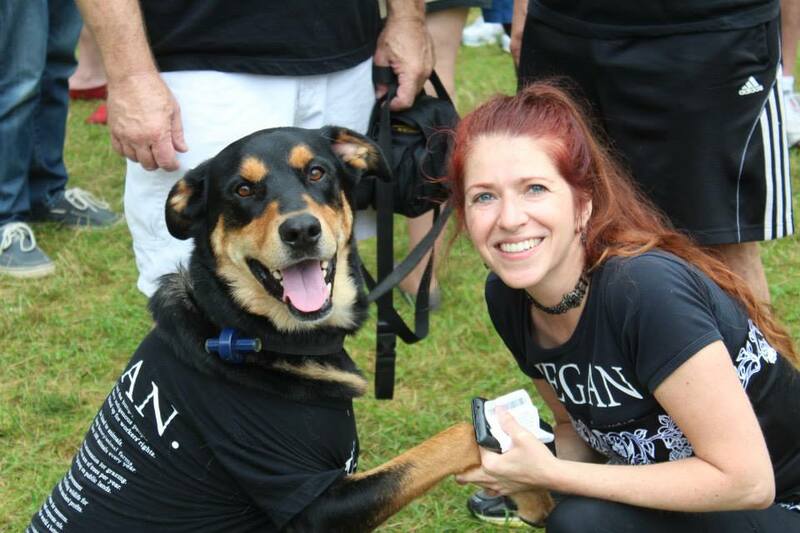 I’ve had strangers want to take pictures with me (yay, I’m a VEGAN mascot!). Dozens of people have asked me to stand still so they can finish reading my back. 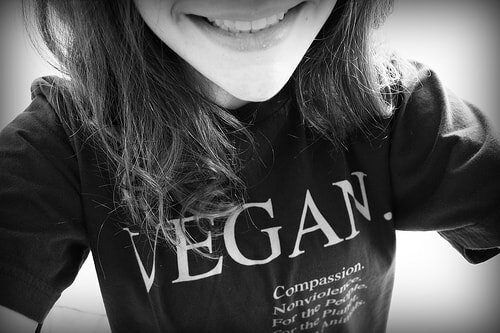 Loads of people say things like, “Oh, that’s what vegan means” and “I really respect that.” There's something powerful about people *wanting* the information, wanting to learn more. And I didn't have to say a word. 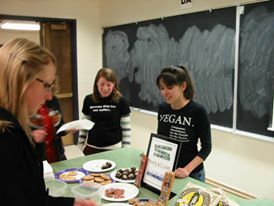 Of course, I’ve had people come up to me and ask me questions about how long I’ve been vegan, why I’m vegan, how can they get started, etc. All in all, it’s been 99.9% positive. That 0.1%?-- one person raised her voice and said “Don’t you judge me!” She was buying eggs and cheese in a local co-op. 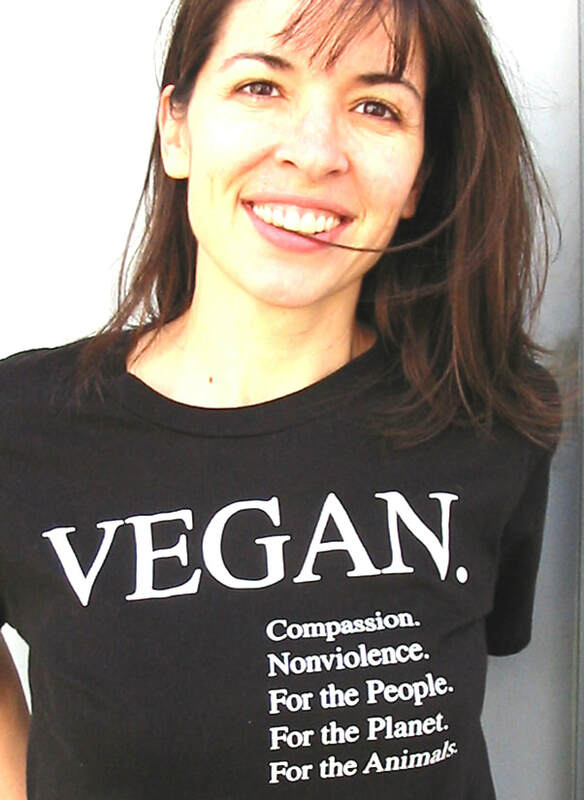 I was in line behind her – and honestly hadn’t even noticed her or her shopping cart until she startled me out of looking at the vegan impulse-buy chocolate bars (this encounter led to my understanding that that feeling of being judged comes from within… and that it happens only when one doesn’t feel 100% confident in what they are doing). Again, I didn't have to say a word. The encounters I enjoy most are the people in grocery stores who use me as an informational kiosk. 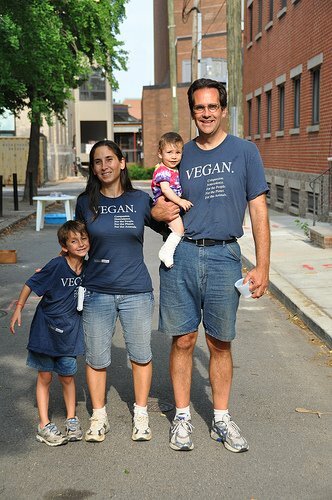 They stride over to me -- “Hey, is this vegan – my son is vegan and I’m not sure what to buy for him” or “Have you had this almond milk before – which is better?” Or, “Hey, chocolate is vegan?” Things like that. And I’m over-the-top happy to help. 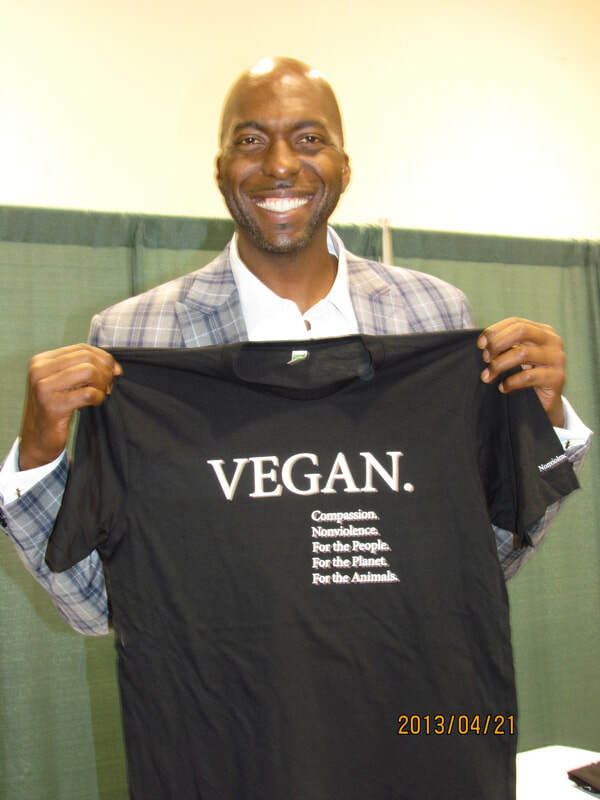 It’s not because, as one enthusiastic VEGAN shirt buyer proclaimed, “I’m vegan as &%@* and I want everyone to wake up!” I mean, great that he’s wearing the shirt… I think… but that’s not the point of the shirt. We *need* to get the conversation going. 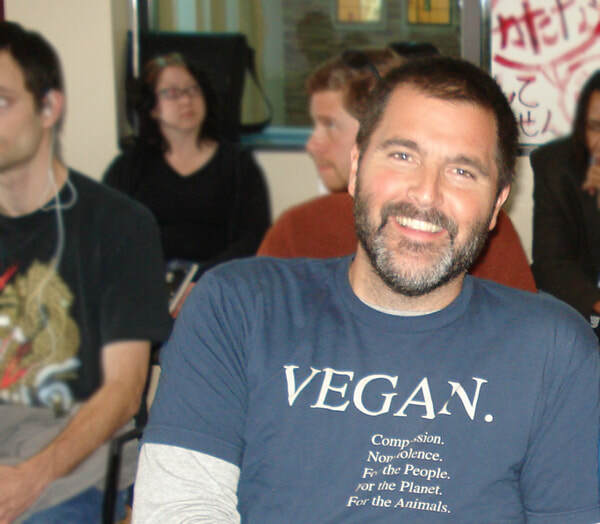 The word "vegan" is so drowned out and under-represented in our not-yet-vegan world -- my shirt (your shirt!) might be the only place some people see it. 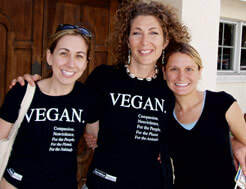 As they see VEGAN again and again – on me, on food labels, on TV, online – those little “imprints” start to get heard. And seeds of interest start to sprout. 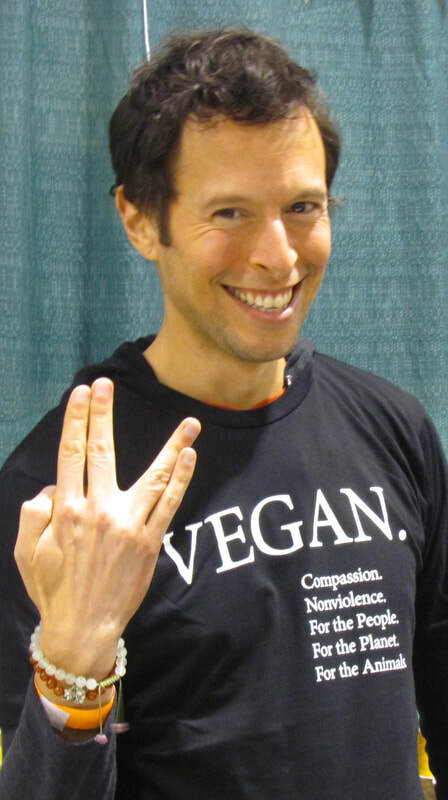 Finally people no longer say “VAY-gun" and hooray that they know what it means. 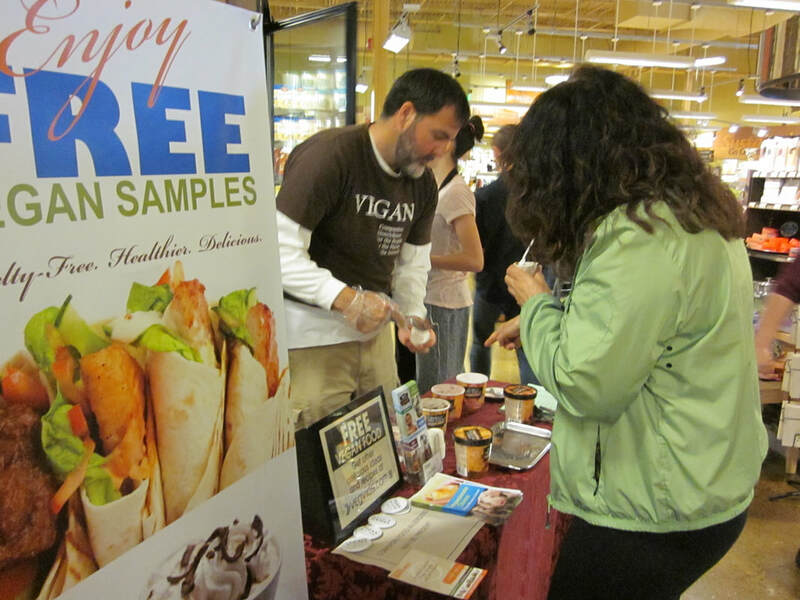 They now even “know someone” who is vegan (even if it’s just that helpful guy in the grocery store spending way too much time in front of the vegan ice cream selection). 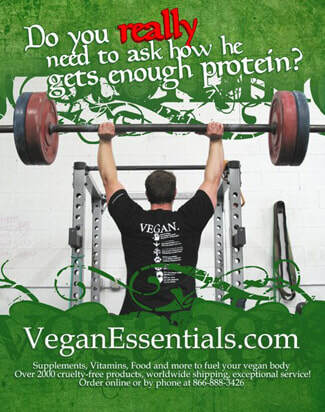 So, it’s advertising, I guess – it’s letting people know that there is another way (I hadn’t even heard the word “vegetarian” until I was in college… I wonder who I’d be had I heard it sooner. 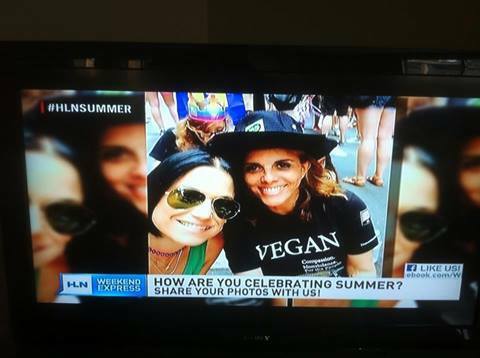 Hearing/seeing "vegan" would've blown my mind). 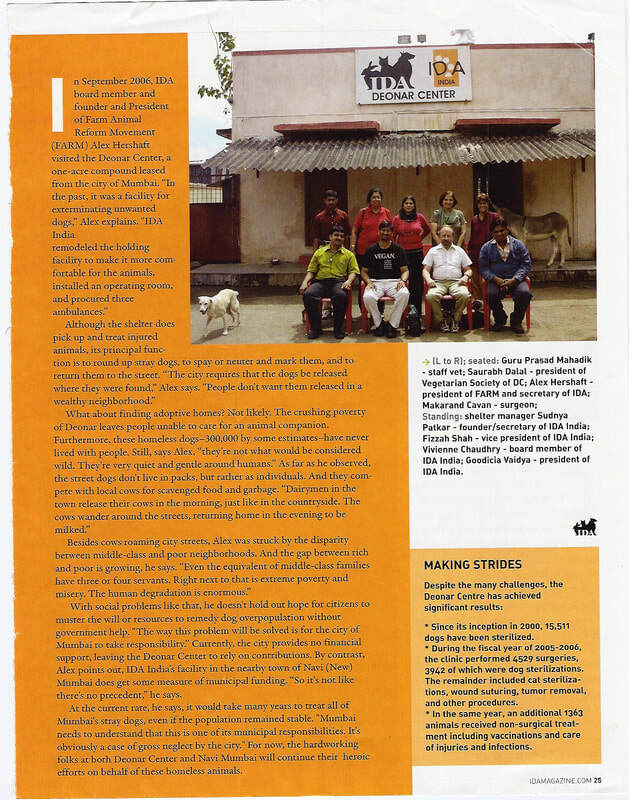 And then there are the conversations I’m not even a part of, but happily started just by walking by. Those conversations that get started when I walk by an outdoor café and suddenly everyone is a little more aware of what (or who) they are eating. The friend who nudges the other to look in my direction. 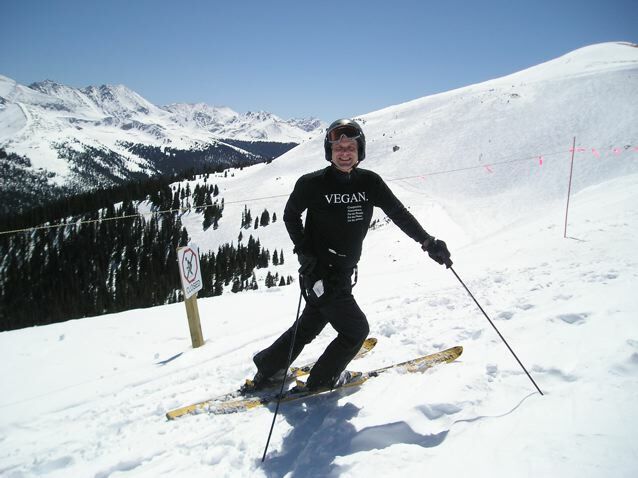 The word “vegan” suddenly coming up when I’m around. 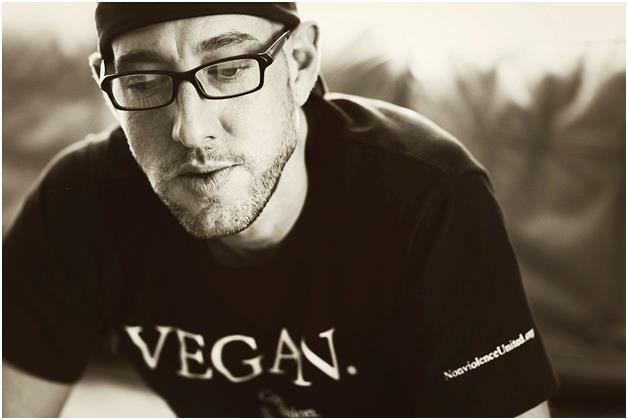 The café manager who wonders if they might do better business if all those people in VEGAN shirts had more menu options. 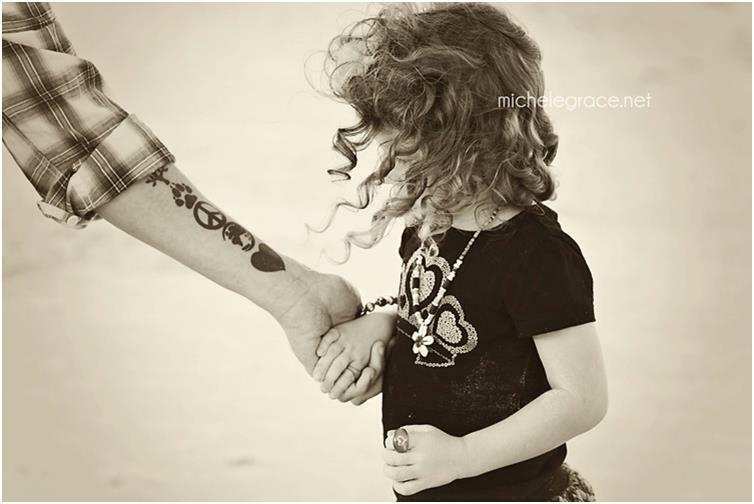 The kid (or grown-up as I had been) who sees the word for the very first time, looks into it online, and starts on a path of compassion – the conversations they’ll have with their kids, with their coworkers, with their parents, with the world. It all starts somewhere. So, wear it to get the conversation going. Wear it not to tell someone, but to be there in case they want to ask. 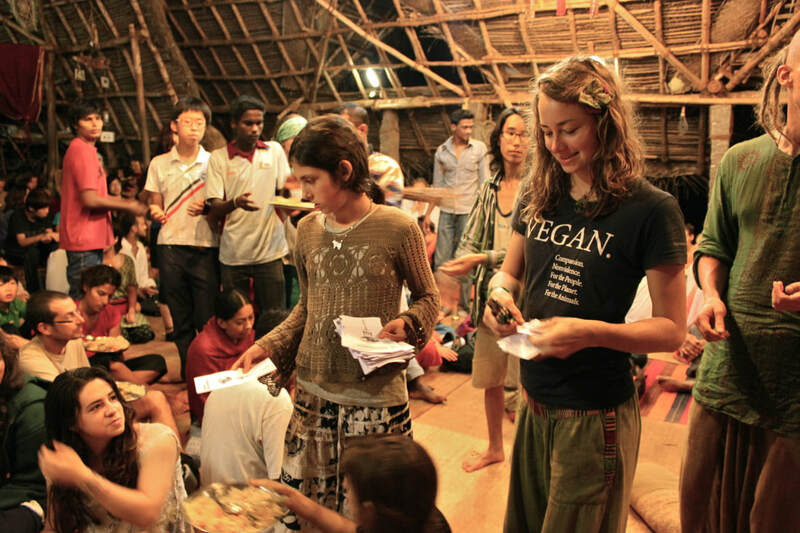 Wear it – not to be proud, but to be helpful. Wear it. P.S. 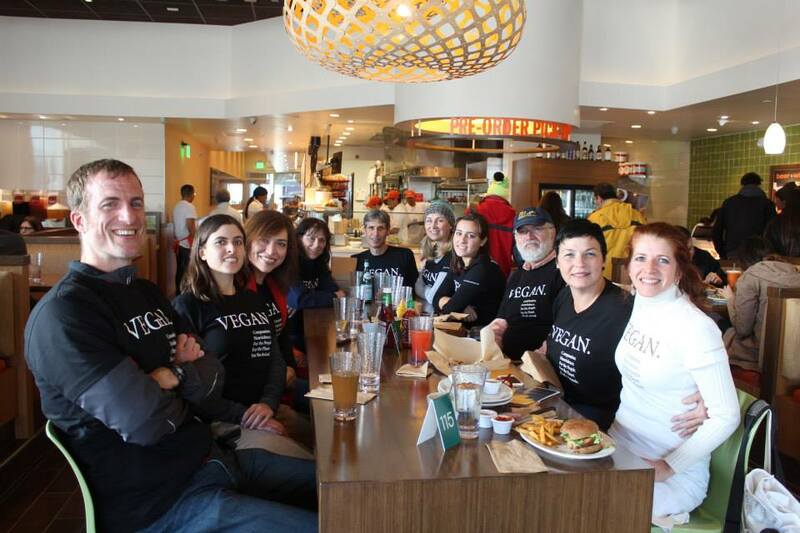 You might really enjoy doing something we’ve called “a VEGAN walk-about.” It’s a super-easy form of advocacy. 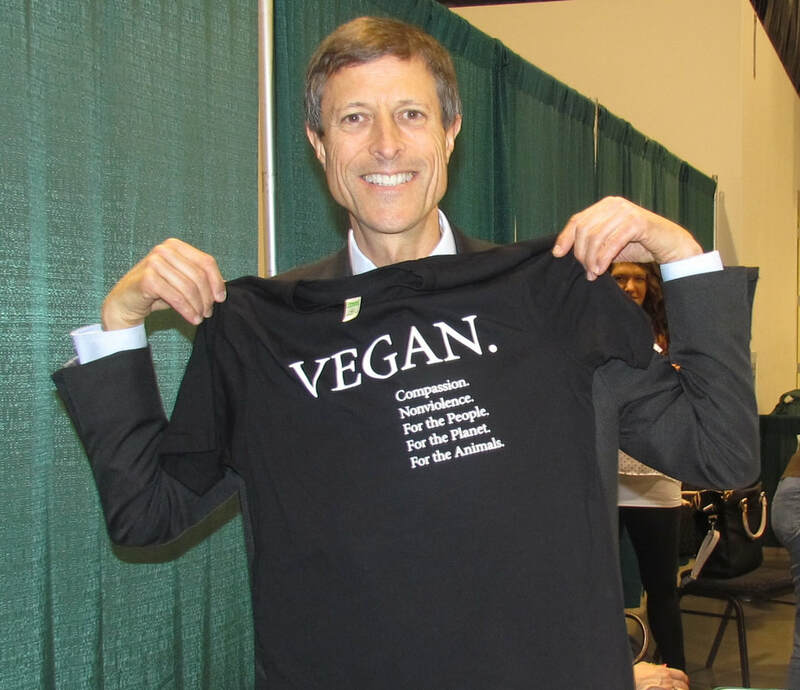 At a concert, fair, farmers market, convention – anywhere there are tons of people milling about – coordinate with a few (6-12) friends to wear the VEGAN shirt. Don’t stick to your own pack of friends though – spread out. 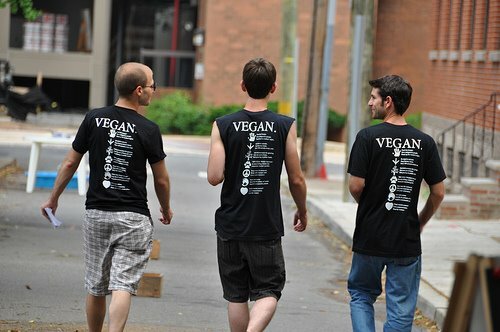 After a while people see a VEGAN shirt walk by, then another, later another – it has the interesting intoxicating effect of making it seem like there are vegans everywhere :) Ah, if only. 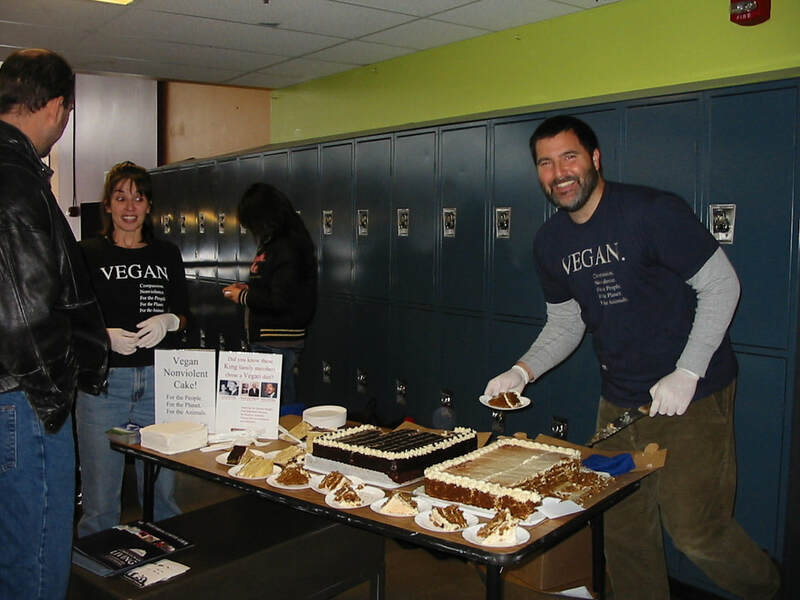 Afterwards, connect with your vegan compadres for a vegan meal or treat and love on the hundreds of conversations you just got going. P.P.S. 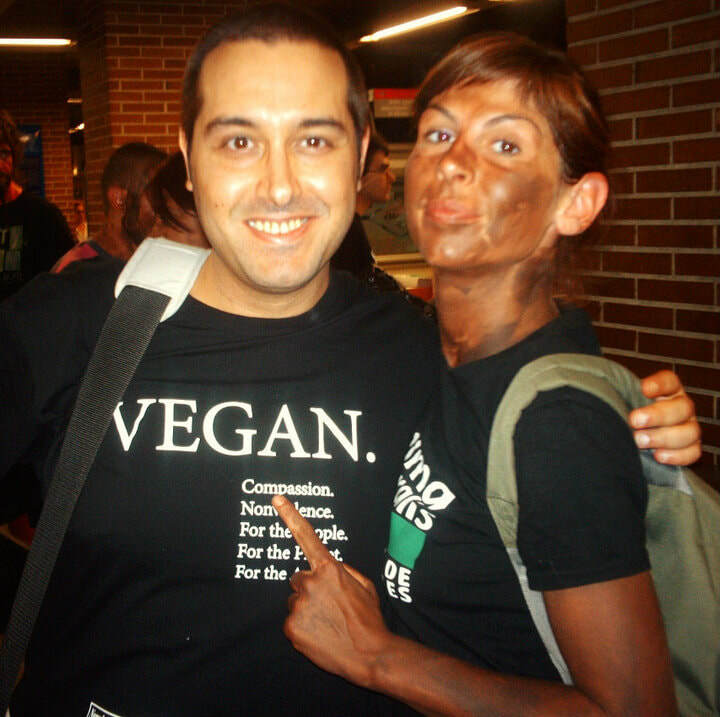 This might go without saying, but I’ll say it – when you’re wearing the VEGAN shirt, be nice! Smile, be friendly and if someone torques you off, let it slide. 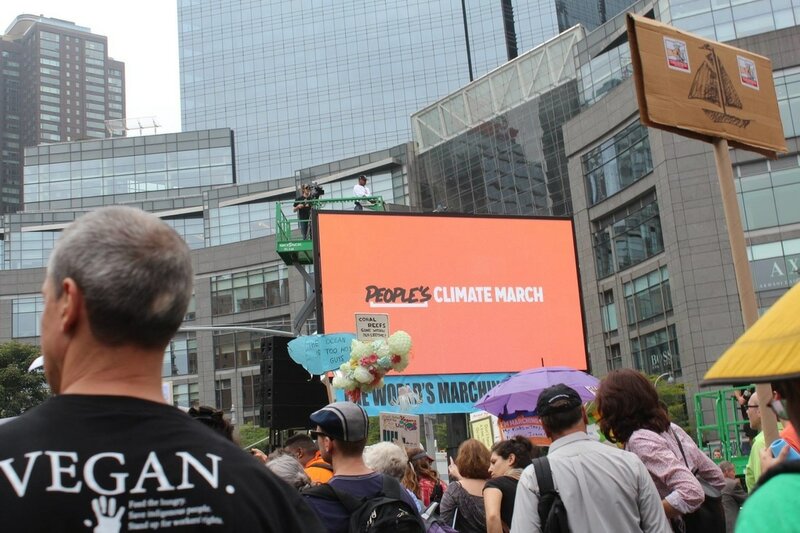 It’s a good bit of advice in general, but especially when you’re a walking talking billboard representing those who don’t have the opportunity to speak up for themselves and be heard. 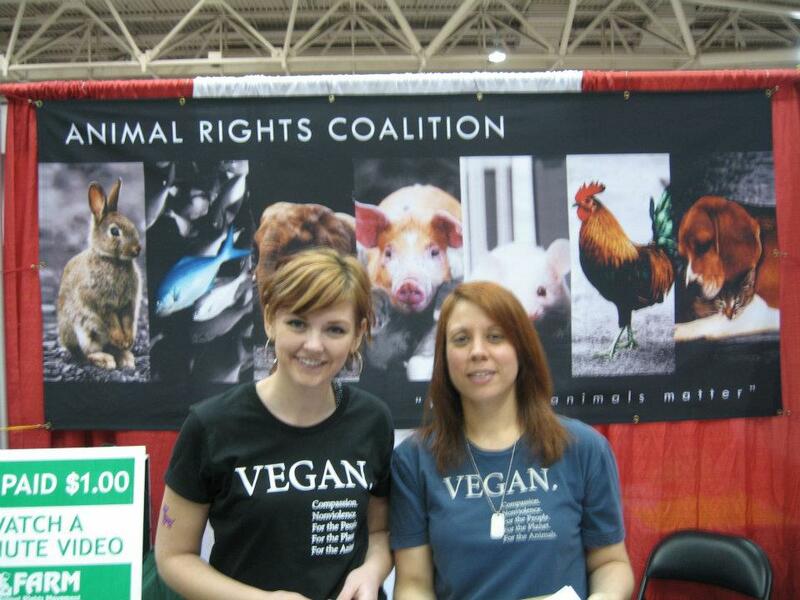 You might be a first or biggest vegan impression. Make people want to be like you. 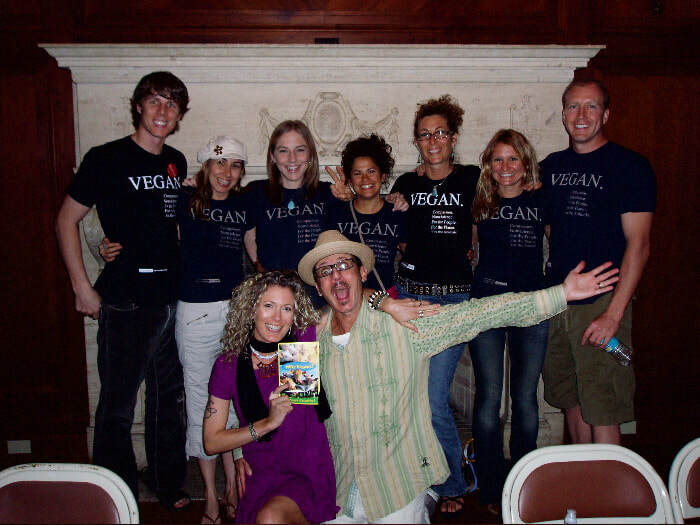 Be the best VEGAN ambassador you can be.